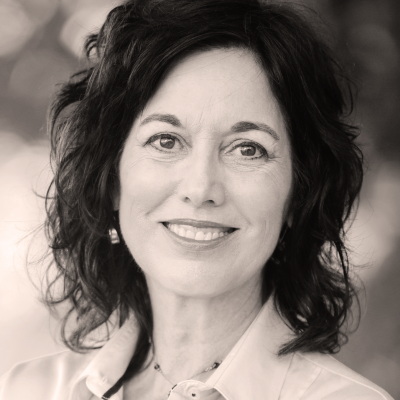 EXECUTIVE COACH -- Leslie Boyer’s desire to bring sustainable change to her clients is founded in her lifelong love of learning. For over three decades, Leslie has traveled the globe to assist both individuals and Fortune 100 business leaders on how to enhance their personal and professional lives. In her years of working with thousands of people across a wide spectrum of cultures, she discovered that people everywhere share a common desire; to connect with what is meaningful to them and discover ways to shift their actions to get the results they want. Leslie worked closely with David Allen for 10 years assisting in the development of the Getting Things Done® methodology and trained trainers to present the material. She facilitated the rollout of GTD® for several global clients by conducting workshops and coaching executives. In 2006, Leslie moved to Europe to build a consulting, training and coaching company in Baden-Baden, Germany. While there, she opened up the market for Getting Things Done® along with delivering programs to develop teams and expanding her executive coaching practice. Leslie relocated back to Los Angeles in 2012 and founded SHIFT Coaching & Consulting with a focus on Executive and Team Coaching. Many of her clients continue to contract her to design training programs to develop their teams and leaders. Leslie excels in deepening communication skills, presentation skills, and building high performing teams. Excellent GTD presenter and coach. She has trained trainers and coaches for several organizations. Leslie is certified in the Leadership Circle Profile 360 Assessment for leaders and managers and The Leadership Culture Survey as well as being certified in the DiSC Profile. Her years of training design and delivery prompted her to focus on individual learning and sustainable change with people of influence in organizations. Leslie has worked extensively in the banking, pharmaceutical, technology, transportation and consumer product industries. She has coached and trained Individual Contributor and C-Suite Executives. Leslie studied Early Childhood Education and completed a Masters Program in Applied Psychology from the University of Santa Monica. Created and managed a Leadership Development program for volunteers for a global non-profit organization. Taught positive life skills to at-risk teens for several years. Designed a 28 day advanced workshop called “Manifesting the Purpose of Your Heart” and delivered it globally. Founded a profitable boutique consulting and training company in Germany in 2007. Was an executive coach for a senior executive in one of the top ten most profitable companies in Canada for nine years-- coaching small teams within the function and overseeing the implementation of key initiatives to support their vision. Did the California AIDS bike ride from San Francisco to Los Angeles (550 miles).